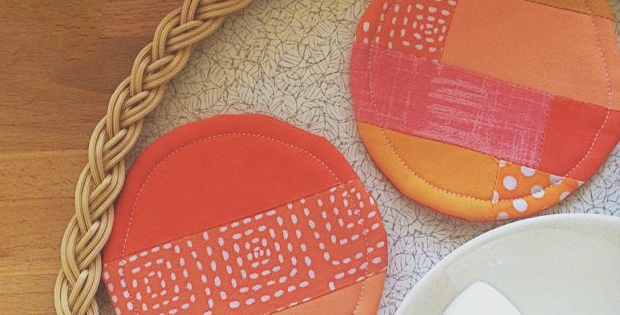 Play with the Process to Make Coasters, Mug Rugs, Place Mats and More! Fabric scraps pieced together any which way form the basis for this charming set of coasters. The coasters are easy to make and a great use for coordinating scraps. 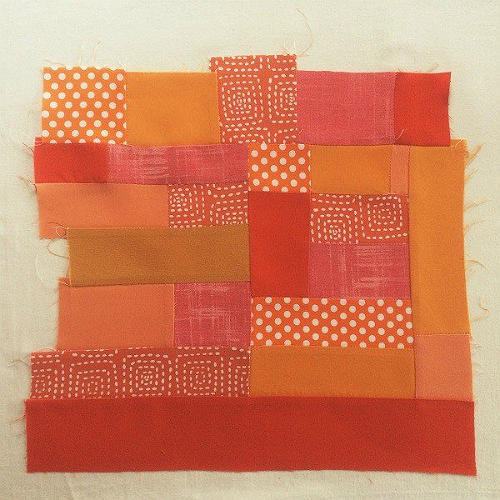 Select a wide variety of prints and solids and piece them together to make a larger piece of patchwork. Cut your coasters from that and finish them off with batting and backing. They’re turned so there’s no binding to deal with. The coasters can be any size you want, even as large as place mats. Find a saucer, bowl or other round item to use as the template. They also can be any color combination. We love the luscious colors chosen by the designer and like how close in color and value they are. However, play with your scraps and create whatever you want. This is a fun process that provides endless creative opportunities. The tutorial for the coasters designed by Laura from Sew Peachy is from The Sewing Directory. 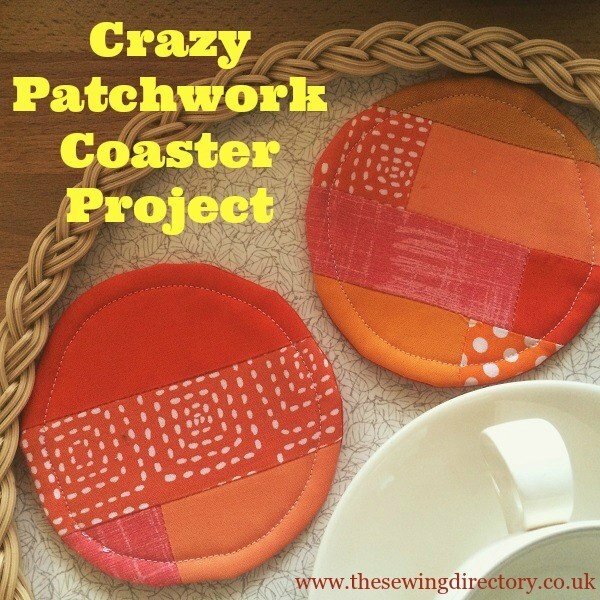 Click here for the free “Crazy Patchwork Coasters” tutorial.